Heidi: LOL – Val was so uncomfortable, it was written all over his face. The continual need to talk while Elizabeth was having her moment is a sure sign of extreme discomfort. I almost felt bad for him. But then I remember to cringe inducing rumba contemporary night with Kelly Monaco and got over it real quick like. 🙂 Really dude, after all the deep gazing with Kelly designed to highlight your faux romance (dude, do you DATE?) and making even Bergeron uncomfortable, you earned this cringe inducing moment. Heidi: I mean REALLY, STFU!!! “Uh huh, uh huh, got you, I understand…” blah, blah, blah, BLAH!! Lord have mercy, woman, shut it!! Elizabeth is a bit strange, but seems nice, but Christina? My sense is that she overestimates her own importance and the importance of her words. Not only is that a VERY annoying habit she has there, it’s also a sign, IMO, of basic disrespect. Like if she keeps telling them she gets it, maybe they’ll stop talking. Your turn to talk is over, sweetheart, let the judges have their turn without the responses. Courtney: What I found REALLY interesting was not so much her constant need to interrupt – but her expressions and body language in between. Girl was staring some serious daggers in the judges’ direction – particularly when Carrie Ann & Julianne were talking. Is Christina this season’s Regina George? Methinks she & Leah are about neck-and-neck for that title… Read more..
Courtney: Poor Lindsay – she’s just terribly, terribly green when it comes to being a pro. I highly doubt that if your celeb is messing up, yelling at him at progressively louder volumes is going to help. And really, if he’s screwing up that bad in the first place – you probably haven’t done your job as a pro and gotten him rehearsed enough. 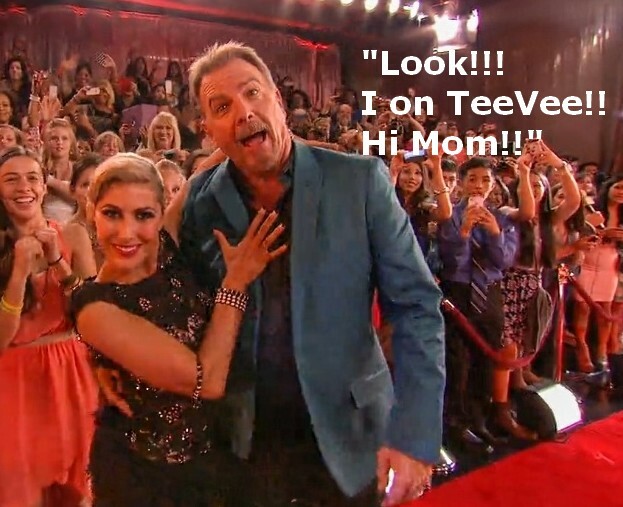 It’s times like these where I think to myself, “Would it have KILLED you guys to just put her in the troupe for a season or two?” 😯 Read more..
DWTS Season 16, Week 2 – The Cheesecake Awards!! Title is kind of a lie – there’s some week 1 stuff in here too. 🙂 As I usually do at the start of each season, it’s time for me/us to warn you. These awards are sometimes humorous, tongue-in-cheek, sarcastic and sometimes they’re b*#chy and sometimes they’re just weird. My point is, if you are overly sensitive about comments made about your favorite, you best not whine. You’ve been warned and NO ONE is immune. Courtney: ZOMG, that’s sooooo offensive…it very well might send Andy scrambling to the closest bar! Seriously, the way some people are fancying themselves Dr. Drew and getting all up in arms on Andy’s behalf is just nauseating. 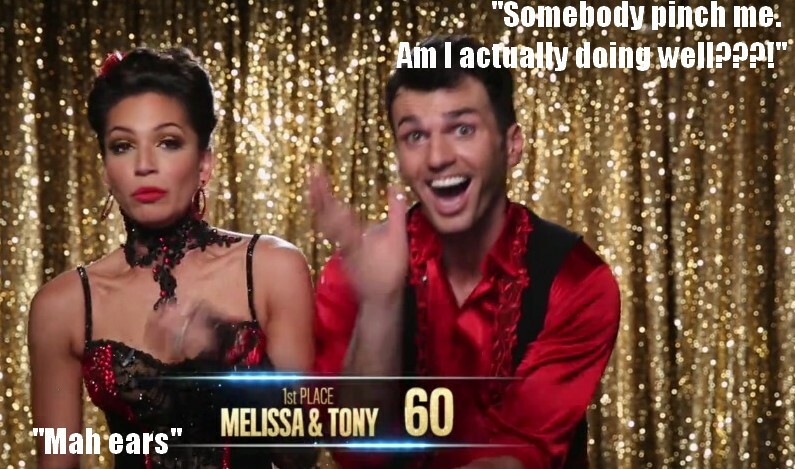 But I digress….yeah, Tom’s pretty on the money, because with all the trickery going on at DWTS these days, one would have to be under the influence of some substance in order to agree to do it. As for Giggy – Giggy’s pretty sedate most of the time on RHOBH too, so I don’t think it’s anything new…that pooch is just so used to getting carried everywhere and sitting on everyone’s laps that he doesn’t really need energy 😛 Read more..